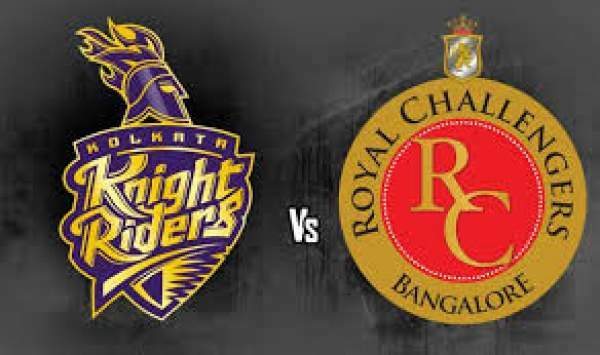 KKR vs RCB Live Streaming IPL T20 2016 Score Cricket Match Prediction 16th May: Today, it is going to be the 48th game of the Indian Premier League season 9 and will be played between Kolkata Knight Riders and Royal Challengers Bangalore. The match result will be pretty straightforward. KKR will get a spot in the playoffs with a win, but RCB will still be floating even after they get victorious. Bangalore side has shown good temperament in the last one week. Once there was a time when Royal Challengers were going to vanish after losing to Mumbai Indians, but they bounced back and won against Gujarat Lions by a massive 144 run victory. They should be other teams that they still have the potential. RCB won because of their batting performance. It is one of their biggest strengths. The team led by Virat Kohli has shown its batting skills. Once again, they will have to do the job as their bowling department is weaker apparently. Kohli has scored most runs for the team and is followed by AB de Villiers, who has scored occasionally. This edition of IPL has shown has that only one big department is not enough to get a victory in the tournament. The Virat-led side has to do much more if they want to survive further. Kolkata team has done an excellent and rose to a level from where they would finish in the first two positions. Gautam Gambhir and Robin Uthappa have been scoring for them for a long time now. While, Yusuf, Andre, and Shakib have played important roles. Moreover, Sunil Narine has been performing well on the bowling side. When: Kolkata Knight Riders vs Royal Challengers Bangalore, at 8 PM IST. Kolkata Knight Riders: Neither of the team has practiced ahead of the clash. We are not going to see significant changes. The team may come up with three spinners. If it is going to happen, then Kuldeep Yadav would be considered in place of Ankit Rajpoot. Royal Challengers Bangalore: Kohli and team need to adapt at the earliest to the conditions of Kolkata. There are only three players who have played all the eleven matches – Virat, AB, and Shane. We would get to see Tabraiz Shamsi in place of Chris Gayle. Iqbal Abdulla or Parvez Rasool may come in place of Varun Aaron. Kolkata has allowed the opposition to score less than seven runs during the powerplay overs. While, Bangalore has an average of 8.21 for the first six overs. AB de Villiers has scored 177 runs in 12 IPL innings against Kolkata, highest being 40 not out. KKR has an advantage of 9-8 over RCB in IPL so far. In Kolkata, it has been 4-2. Kolkata Knight Riders: Gautam Gambhir (capt), Robin Uthappa (wk), Manish Pandey, Suryakumar Yadav, Shakib Al Hasan, Yusuf Pathan, Andre Russell, Brad Hogg, Piyush Chawla, Morne Morkel, Umesh Yadav, Sunil Narine, Chris Lynn, Jason Holder, Colin Munro, Simon Katich, Sheldon Jackson, Jaydev Unadkat, Rajagopal Sathish, Ankit Rajpoot. Royal Challengers Bangalore: Virat Kohli (capt), KL Rahul (wk), AB de Villiers, Shane Watson, Sachin Baby, Stuart Binny, Varun Aaron, Chris Jordan, Yuzvendra Chahal, S Arvind, Tabraiz Shamsi, Chris Gayle, David Wiese, Abu Nechim Ahmed, Harshal Patel, Kedar Jadhav (wk), Mandeep Singh, Sarfaraz Khan, Travis Head, Iqbal Abdulla, Praveen Dubey, Akshay Karnewar, Kane Richardson, Vikramjeet Malik, Vikas Tokas, Parveez Rasool. KKR v RCB Prediction – KKR to win. Cricketgateway.com will stream live for the world for all the matches of the IPL 9, but outside the India. Below is the complete list of official TV broadcasters across the globe. Sky Sports 2/2HD will telecast in the UK. Hotstar can be used for all the 60 matches of IPL 2016 for live updates. Sony Max, Sony Six, and Sony ESPN are the tv channels which will broadcast the game live on television screens in India. To stream the match live online, go to Sonyliv.com, hotstar.com, and starsports.com. Stay tuned for KKR vs RCB Live Streaming, match result, ball by ball commentary, scorecard, highlights, man of the match, and much more.